Newark-on-Trent shutters from Just Shutters. Your local family experts offering the finest range and choice of window shutters. 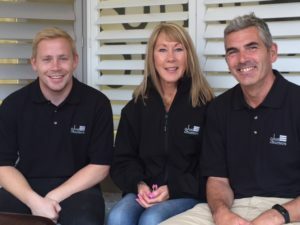 With the broadest range and finest quality choice of beautiful Plantation Shutters in Newark-on-Trent, Just Shutters offers outstanding service, stunning shutters, and superb value! All wrapped up with a lifetime guarantee: call us on 0115 838 2558. The picturesque market town of Newark-on-Trent is home to stunning historic buildings, Victorian and industrial heritage and surrounded by superb countryside. It boasts homes from across the ages, each deserving of the sort of craftsmanship provided by Just Shutters. Also home to the Spivey/Musgrove family, dedicated to bringing local homes the fines products and services; at the best prices! Having worked on homes from the historic to the brand new, we have the expertise and know-how to make the very most of your windows and doors whatever their age and style. Just Shutters have designed and fitted more than 15000 sets of shutters for our happy customers. So whatever your property needs, we will ensure your home is treated like a (Newark) castle with the perfect shutters! Can I still open and clean my windows? Yes indeed, shutters fold back allowing you to open and clean your windows. Shutters allow the light to filter into a room, allowing you to see out, while the room remains private and secure, our customer feedback is that they love the way their shutters frame and enhance their view, while allowing them access to their windows and doors. Please see our stunning shutter galleries for pictures that will give you a great idea of how shutters could look in your home. 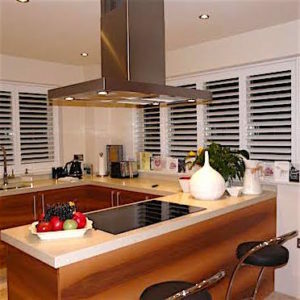 Just Shutters are the experts, the specialist Plantation Shutter company dedicated to only interior Plantation Shutters. With over 1000 reviews on checkatrade.com and a score of 9.9/10, we pride ourselves on our reputation for quality and service, we would be delighted to demonstrate how we have earned our excellent reputation, please call us on 0115 838 2558. New shutters supplied and fitted.